We are currently inviting Expressions of Interest (EOI) for the Special Issue of Marine and Freshwater Research (MFR). The special issue was inspired by the number of high quality abstracts received at the recent World Seagrass Conference and ISBW13, that was held in Singapore in June 2018. 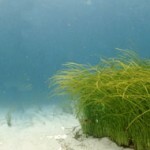 The theme of the issue follows the conference theme: Translating Seagrass Science into Action; and will seek manuscripts that emphasize the applicability of scientific research to advance evidence and science-based solutions, management practices and policies for the conservation of seagrass meadows globally. Participants from the WSC2018 and ISBW13 are encouraged to submit an EOI for this Special Issue. Marine and Freshwater Research (CSIRO Publishing) is an international and interdisciplinary journal publishing contributions on all aquatic environments. The journal’s content addresses broad conceptual questions and investigations about the ecology and management of aquatic environments. Contributions that are interdisciplinary and of wide interest and consider the social-ecological and institutional issues associated with management are welcome. MFR is a valuable resource for researchers in industry and academia, resource managers, environmental consultants, students and amateurs who are interested in any aspect of the aquatic sciences, it currently holds an impact factor of 1.674. CSIRO Publishing supports both ‘Green’ and ‘Gold’ Open Access to help authors reach the broadest audience for their work and to facilitate unrestricted access to scholarly research. For more information, visit https://www.publish.csiro.au/mf/forauthors/openaccess. All Open Access articles undergo the same rigorous peer-review as those published under a subscription model.